#PavelDurov the founder of #vkontakte and #telegram is lying about their software. 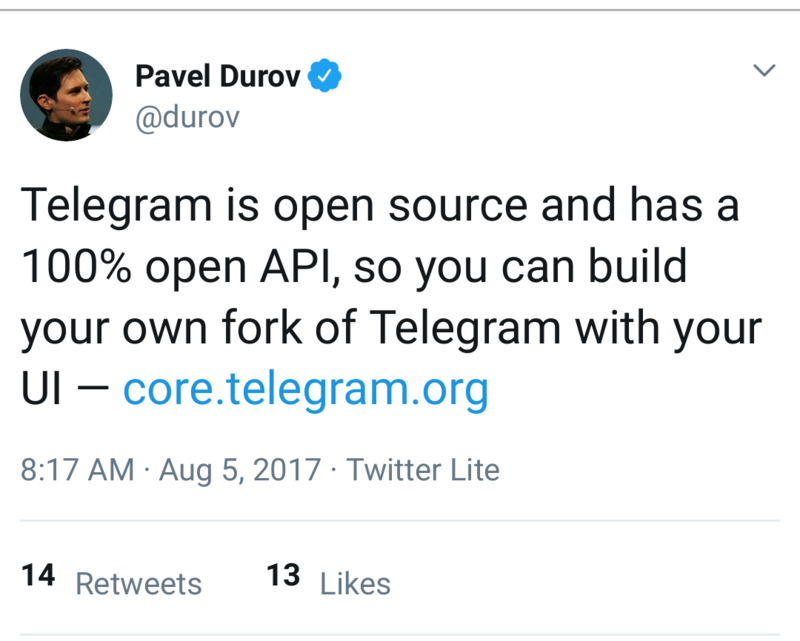 Pavel states that telegram is opensource, while it's actually *not*. It's such an open and shameless lie, that one should ask, where else does he lie to me?